A cave discovered three years ago beneath Germany’s Thuringian Forest is the subject of a search to find an alternate entrance, after the original one was sealed up. During construction of a high speed rail line from Berlin to Munich in 2008, a crack appeared after dynamite was used to extend a tunnel. Into the void, workers pumped 500 cubic meters (17,500 cubic feet) of liquid cement, which to their astonishment, quickly vanished. Geologists were brought in to investigate and crawling through the crack immediately discovered a fantastic cave filled with formations. With officials against the idea of further exploration for safety sake, only a few members of Thuringia’s THV cave association ventured on. 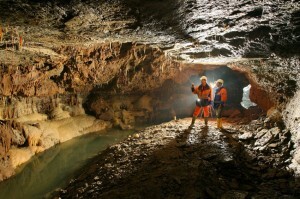 As workers waited to continue, the cavers had only a short window to explore the cave, dubbed Blessberg Cave. During their time they were able to map 1,200 meters (3,900 feet) of passageways, a fraction of what they believe exists. 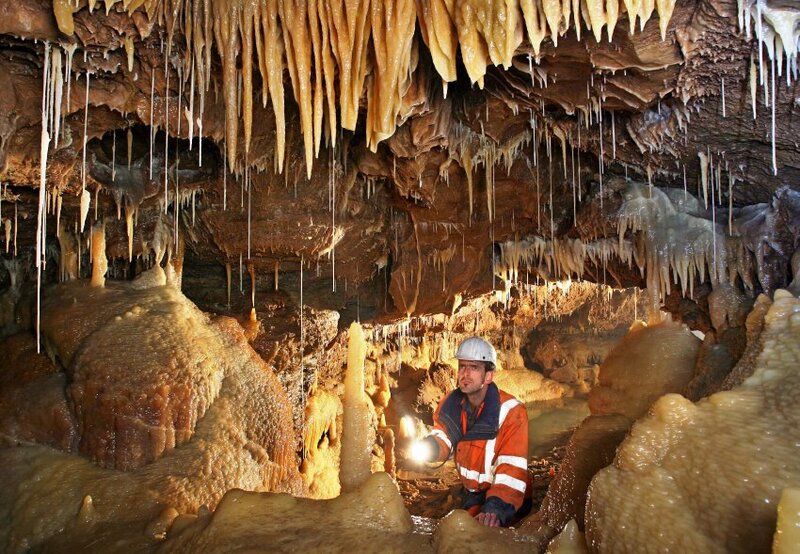 In January 2009, after a failed attempt at protecting the cave, believed by its explorers to be one of Europe’s most beautiful, engineers plugged it concrete. However not before railway engineers harvested some of the beautiful formations for local museums. Since it’s closure locals in the area have become interested in reopening the cave, the only problem is finding a way in. So far attempts at finding a surface entrance have failed. 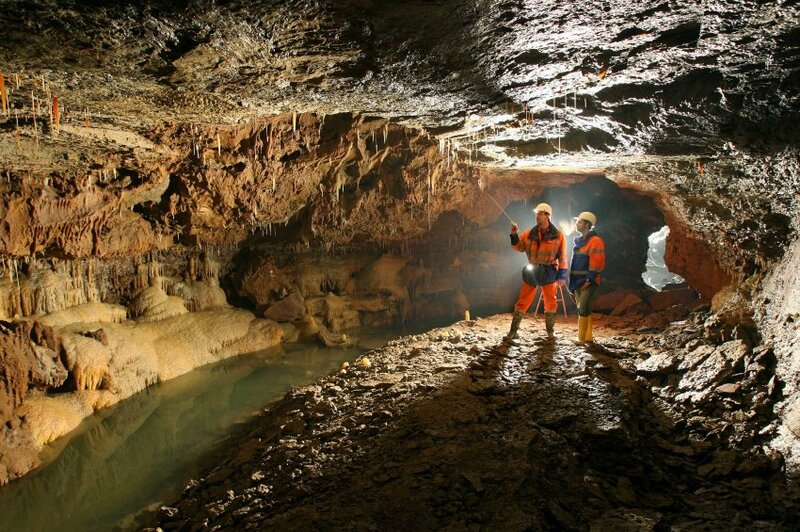 A group of eight towns and two cities would like to turn Blessberg Cave into a tourist destination, complete with underground viewing windows and glass hallways. They hope to attract 80,000 to 120,000 visitors a year. For now, the next step is to dig an artificial entrance for research purposes. 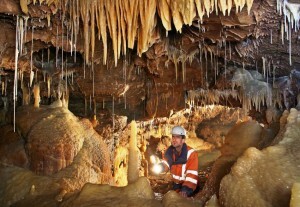 Scientists are concerned that the liquid concrete that disappeared into the void may have plugged up the natural drainage of the cavern, leaving it permanently flooded. Work on the entrance is expected to begin next spring at the latest. Until then a drill probe will be used to find out water levels, with the first reports coming in sometime this month.